Battle of Britain. Designed by Richard Borg and published by the Plastic Soldier company. A team vs. team emulator. When most children are growing up they have people they look up to, even idolise. In many cases they are pop stars, celebrities or actors. Not me, my childhood hero was Douglas Bader a WWII fighter pilot and squadron leader with tin legs. I admired his courage and tenacity to overcome both his disability and how people perceived him because of it. I also constructed many a plastic model kit of WWII aircraft and I still have books on the aeroplanes of that era on my bookshelf. As I look to my right there are models of five different marks of Spitfires, a Hurricane, a Vought Cousair and P51D Mustang on a shelf. I even have a book about the Battle of Britain on my shelf that is signed by one of Churchill’s few who fought in it. A certain squadron leader Nigel Rose whom I had the privilege to meet and thank in 2011. To cap it all off, as I am writing this, it is the centenary birthday of the RAF! You have the idea. From left to right, a Hurricane, He 111 and Spitfire mini. With this background I was very excited to see this game at the UKGE. I just had to go over and have a look. The game board looks like one of the plotting tables from the time. Markers were place on the map as squadrons of enemybombers and fighters approached the coast. As squadrons were scrabbled they were also placed upon it. Instead of markers this game had model bombers and not just one type, several and I could name them too. I was seriously geeking out! Chatting with William (director of PSC) we discovered we were not only board gaming geeks, but WWII ones too! We did hit it off exchanging facts about fighters and the like. I was very pleased when I was given a copy to review. I was looking forward to playing this. On this special birthday, I cannot help but remember the RAF’s finest hour, the Battle of Britain! The Hurricane, He 111 and Spitfire from above. You can play player verses player or as teams splitting up control of the various Groups for the RAF or Luftflotte’s for the Luftwaffe. There are four groups for the RAF and three for the Luftwaffe. Players ready their flights by placing cards face down on each home airfield. Three squadrons in each flight for the RAF and six for the Luftwaffe. You have no idea what your squadrons are made up of. The Luftwaffe player is dealt ten mission cards for his seven squadrons. There are six based in northern France and one in Norway. This player chooses which missions to assign his flights. These missions are focused on either taking out airfields, radar stations or bombing the factories in the respective cities. The squadrons then traverse the sea heading for their targets. As soon as they hit the radar detection grid the RAF player can then decide to intercept the enemy or let them through with a view attacking them after they fly deeper into the country and engage them in a dogfight. There is a limit to how many engagement the RAF team can have per round. 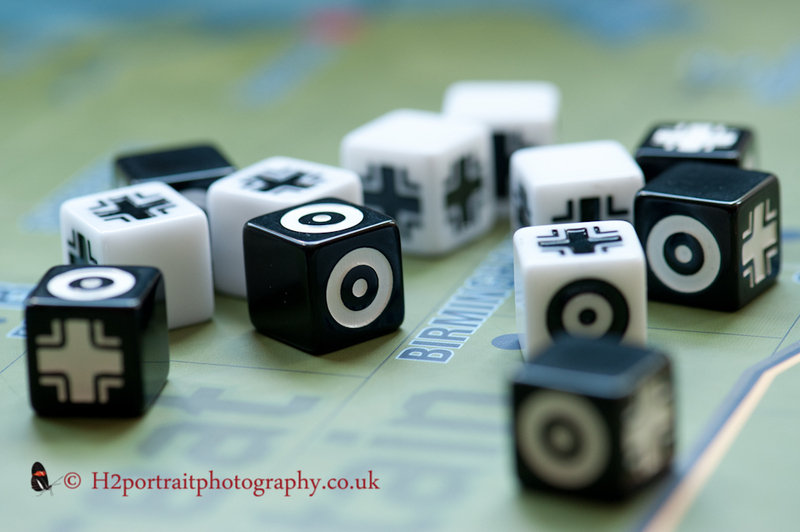 Intercepted squadrons are attacked and dice are rolled according to the total firepower of the whole RAF flight and three Luftwaffe squadrons. The latter can choose the squadrons that engage. The number of enemy symbols rolled determines the amount of damage each squadron sustains. There is a one in six chance your own planes sustain ‘friendly fire’. Dogfighting is a bit different. Cards are selected and turned over at random. The two opposing squadrons fight it out. If one scores more hits than the hit points of the other squadron, the latter is shot down and the former can engage another enemy squadron. Do this a second time and your squadron is awarded ‘ace’ status. They roll an extra die during their next engagement. In the mean time they have to return to their airfield to re-fuel and re-arm. Any Luftwaffe squadrons remaining can press onwards to their target and bomb it. The player rolls a number of dice according to their bombing strength. Any roundels rolled (a fifty percent chance) means they hit their target. One hit is required to knock-out an airfield or radar station and three to destroy a city. If you are successful you keep the mission card and it goes towards your victory point total at the end of the game. Partial successes (one or two hits on a city) means that the city cannot help rebuild the RAF’s infrastructure in subsequent turns and the mission card is placed at the bottom of the mission stack. The game continues like this over a number of turns and then played across a number of scenarios. The team with the most victory points at the end of the game wins. 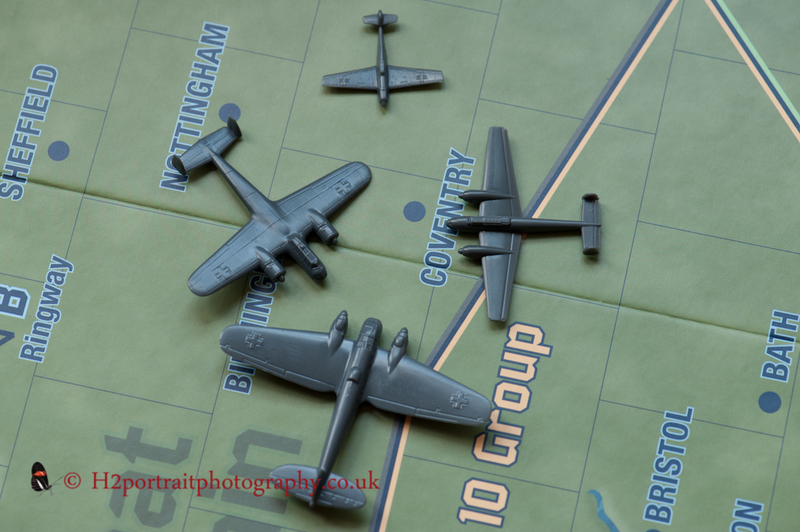 The Luftwaffe minis attacking Coventry, again. The Ju 88 is missing from this shot. This is the strongest aspect of this game. 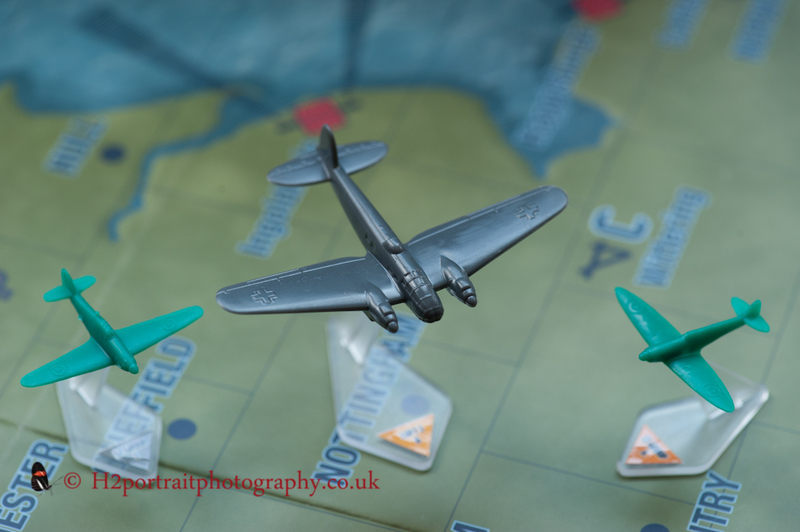 The game plays like a huge tussle between the superior might, experience and sheer numbers of the Luftwaffe verses plucky pilots of the RAF with often antiquainted aircraft and limited numbers of the more modern ones. The RAF were ill equipped for this battle and game brings that across. In the first round the squadrons of the Luftwaffe stream across the sea only to be met with resistance from the RAF. But they do find gaps or their numbers enable some bombers to hit their targets. This game is historically accurate including not just Hurricanes (they made up the bulk of the fighters in the RAF during the Battle of Britain) and Spitfires, but Blenheims, Defiants and Gladiator bi-planes! Most of the latter were made short work of early on. The Luftwaffe has a range of bombers from Ju 88’s, He 111’s, Do 17 and Ju87 (Stuka bombers). There are two fighters, the Me 109’s and 110’s. 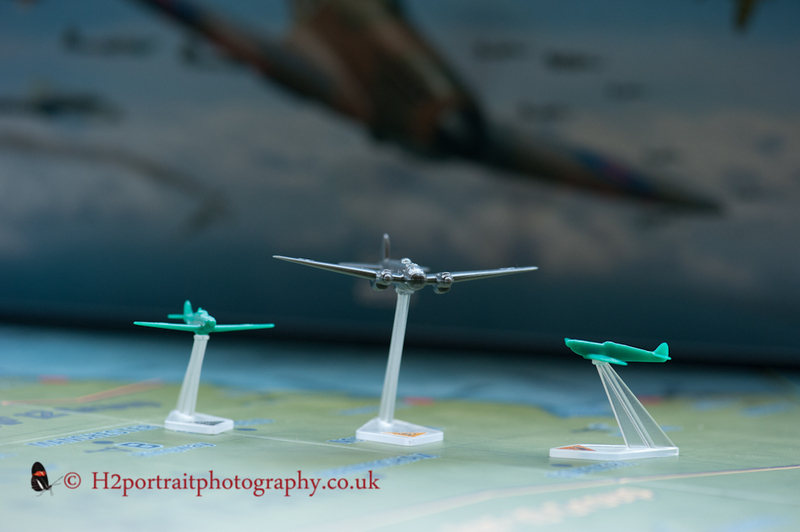 The game comes with respective plastic models, but they only represent the flights and not what aeroplanes they are made up off. The theme does come undone when it comes to assigning missions to the Luftflottes. There are times when there are too many missions in one part of the UK and it would be unwise for a flight of enemy planes to traverse that distance (fuel being the main concern and being intercepted the other). Or you are required to bomb cities without first taking out the airfields and/or radar stations. 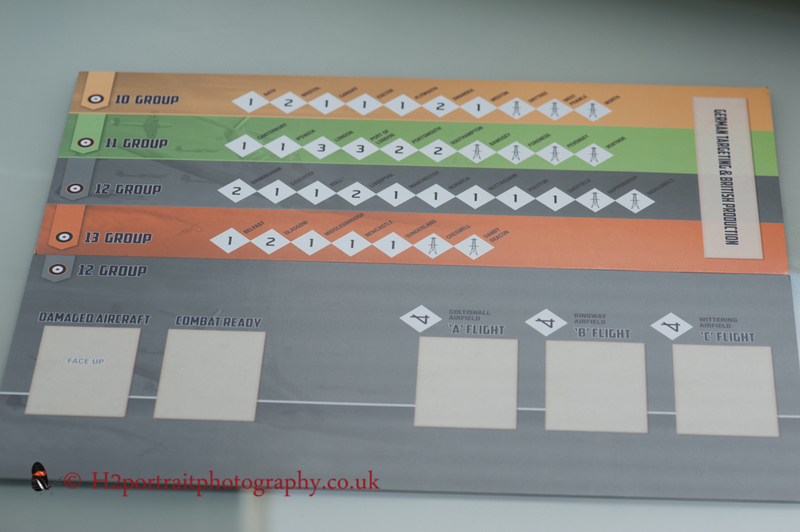 The RAF’s 12 Group board and a summary board of the damage the Luftwaffe has inflicted on Britain’s infrustructure. The positives first. There are an accurate selection of models for the aeroplanes that fought in the Battle of Britain especially where the Luftwaffe is concerned. Not so much for the RAF although most of Fighter Command was made up to Hurricanes and Spitfires. The dice are custom and chunky, but you only have six of each. We often found we wanted more and keeping track of the hits on both sides was tedious. I made my own tracker with one of the respective ‘ace’ tokens as the marker for each track. This worked well. We wonder why one was not built into bottom of the board around the edge? The tracker I made to keep count of the number of hits inflicted on each side during a dogfight or intercept. It could have been printed on the board. The markers are ‘ace’ tokens from the game. The board is great! Nice thick card and the various Groups dividing up the country. The lines between sectors could have been wider. Would hexagons have worked better? The south east region should have been magnified as the bulk of the action takes place down there and it became crowded with the minis. The tokens were fine and were made from a thick card. The Group and Luftflotte boards were a little too wide for our liking. In many cases they could have been narrower. This game takes up a lot of table space. The graphic design for them could have been better. They were made from thin card. The cards were okay, but the layout was clear. The rulebook was large and well laid out. The type face was decent too. Some of the rules could have been clearer e.g. what happens after a flight has been intercepted and there are planes left? Do they continue on that round or the next? We opted for the next. The minis were the best and worst component wise. As mentioned, it was great to have a range or aircraft (no Stuka’s though), but I had to glue most of them onto the stands. The Spitfires kept falling off. It became annoying having to put them back on if you knocked them. Then you have to find a way to store them in the box. There is no insert to speak of. I had to glue an He 111 to its stand and put it in a deck box for safe keeping. To make matters worse, the labels on the base of the stands are too small. You have to stick them on. Some will find this fiddly. You have to look hard to see what is written on them. This is a real chore when your flight is on the other side of the board or even up close. We had to ask each other which flight was involved. The good points were countered by the bad ones. The players boards. Luftflotte 5’s one could have been a lot narrower and therefore taken less space on the table. 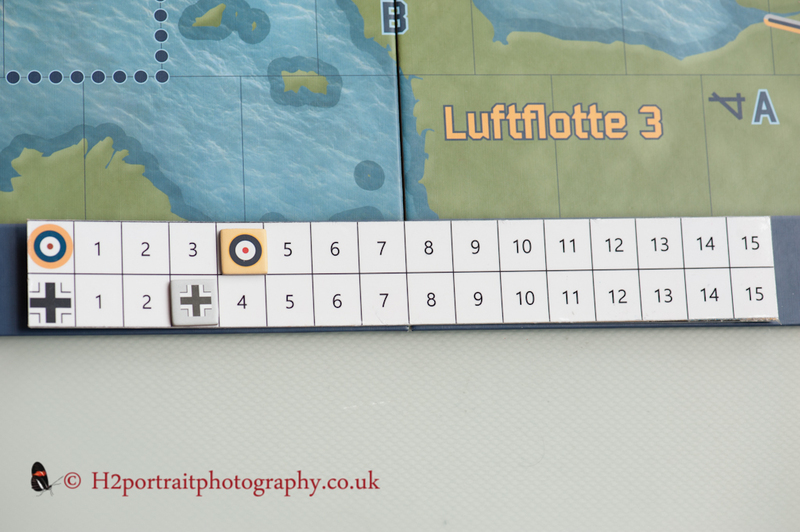 Even Luftflotte 2’s board could have more compact. 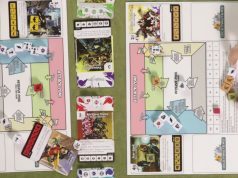 The game takes a while to setup and pack down. This can be off putting for some especially when your plane keeps falling off its stand. As mentioned above, the components are so so, therefore not a huge plus. Yes, I would like to play if a few times, but that is it. There is not a huge amount of variation. Then again you would expect that. I like the different options when it comes to battling your opponents. They each have their merits. This is something you do not see very often in a game. Even the friendly fire aspect is good because it happened a lot in the heat of combat. Most of the mechanisms work fine and give you the feel of a country struggling to keeps its head above water during this fight. This game is fiddly and annoyingly so. As mentioned, the planes kept falling off the stands and you have to place tokens on the models or boards when they are detected (or not) and when they are going to be battled. During the process of doing so, the model falls off its stand, again! I could have screamed into a pillow! It is a good thing I have my polyester glue (used for plastic model making). If you overcome this, the game plays really well. You battle back and forth with large numbers of planes falling out of the sky (from being shot down or being hit by flack) rather than just falling off their stands. 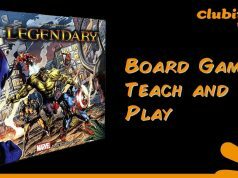 This game will take a few hours to play or at least you could play each scenario over a few sessions. This will be a turn-off for some and be fine for others. 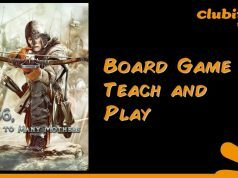 When I saw this game at the UKGE my first thought was, “Have I found a game that Hopi (my childhood friend, we still share an interest in WWII aircraft) and I could play?”. Instead of a resounding, “YES!” (followed by a leap in the air), it is only after I glue the aircraft to the stands, find a way of storing them fixed to them, add a couple of trackers (see below) and tweak a number of the rules. One of the rules says you place the squadrons face down on each group board. You cannot adjust them in any way. I found this rule wonky. The plotters knew what each of their flights was made up of. The Luftwaffe commanders did too. I attempted to bomb a city with one Ju 87 Stuka bomber in my flight. All the rest were fighters! That is soft of fine if I am trying to bomb and airfield or radar station not a city and that was what I was attempting! My chances of success would not be as good if I had another bomber. I would have never assign that flight the mission if I knew what its make-up was. (Where is my pillow to scream into?) 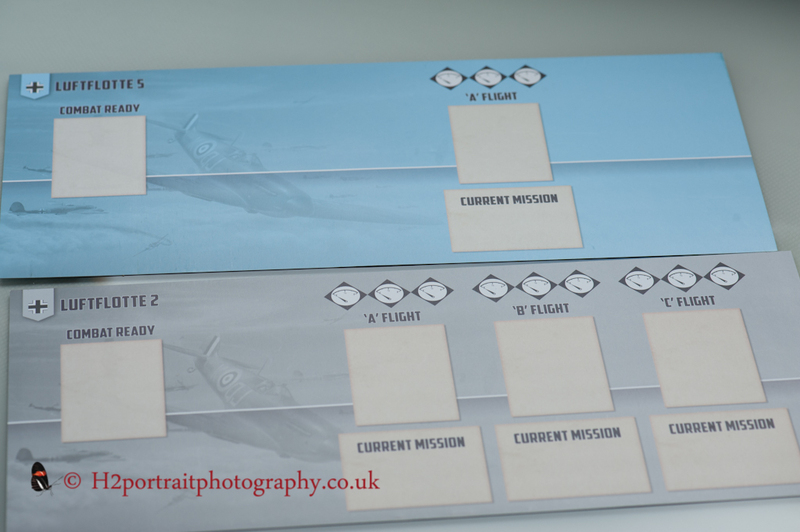 Yes, deal six squadron cards to each flight, but then arrange them as you see fit. This still fits within the boundaries of the theme. Then, award more mission cards as you achieve them, not just one per round. Lastly, a victory point is awarded to both sides for every squadron they shoot down. All the downed Luftwaffe cards go into a box on the board. Downed RAF cards are returned to a spot on the respective ‘Group board’. Er, how does the Luftwaffe keep track of the number of kills? A pen and paper? The rulebook does not tell you to keep track of this until you reach the scoring part. Surely the game should have a means to do this? A simple track along the side of the main board? I have already made one tracker. Now, I need two! (A muffled screams and sobbing!). This game is a reprint. They should have sorted out the shortcomings in this iteration and made it a second edition. It took us two plays to highlight the issues raised above. Surely this game was play tested before it went into production? This is my biggest disappoint in a board game to-date. I wanted to like and enjoy this game. Bringing the two sides of my geekiness together would have been bliss, but it just generated frustration from one aspect to another! I will persevere with Battle of Britain only for ‘the Few’, but with adapted rules, components and models glued to their stands! Agree or disagree? Please us know your thoughts on this game in the comments below.